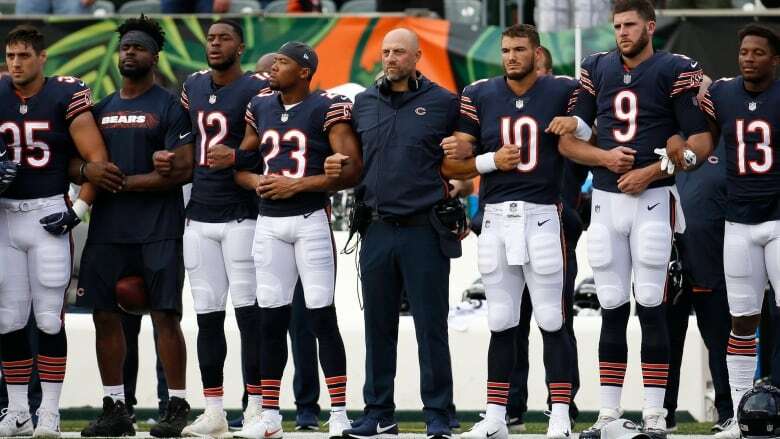 Jenkins stopped his demonstration last season after the NFL committed $90 million US over the next seven years to social justice causes in a three-segment plan that involves league players. Jenkins and a few teammates wore a T-shirt before the game that read on the front: "More than 60 per cent of prison populations are people of colour." On the back, it said: "Nearly 5,000 kids are in adult prisons and jails. .SchoolsNotPrisons." "Malcolm is taking action and he can always sleep good at night knowing that he's not being a fraud," Long said. "He's [demonstrating] and he's working in the community, like a lot of these guys are doing."